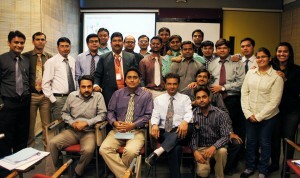 As a part of its focus on providing its employees a positive learning platform, IndiaNIC organized a workshop for Project Managers at AMA, ATIRA Campus, Ahmedabad on 9-10 December, 2011. Titled ‘Transforming Your “P” – A Workshop for Project Managers’, the workshop was facilitated by Hemant Nag & Vishal Kulshreshtha and it was attended by Project Managers and Tech Managers from IndiaNIC. 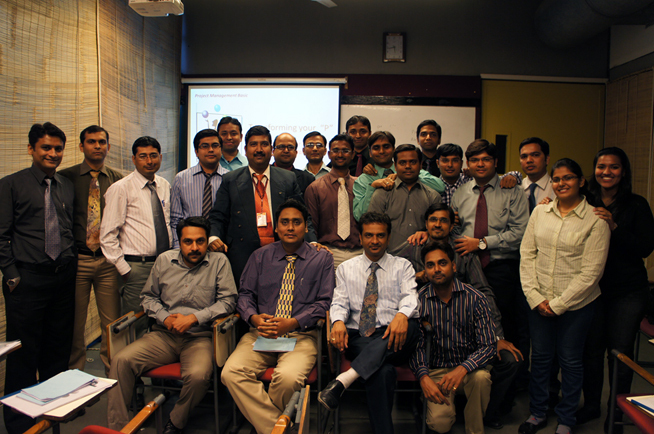 The focal point of the workshop was developing a precise attitude and personality for project management. The Project Management process was divided into specific stages, and the approach and methodology for each stage was discussed in detail. The workshop was instructive and entertaining at the same time: the speakers enlivened the meet by encouraging interaction and driving home their points through pithy video segments. AMA’s wonderful ambiance, the insightful presentations, the passionate discussions and the contemplative tea and lunch breaks boosted the energy levels of all the participants. The ideas presented in the workshop hall were animatedly discussed during the breaks. At the end of the workshop, the participants left with positive energy and a number of innovative ideas for better project management.